World Phone provides you with clear and reliable voice calling. You can make and receive great quality calls worldwide at great rates. 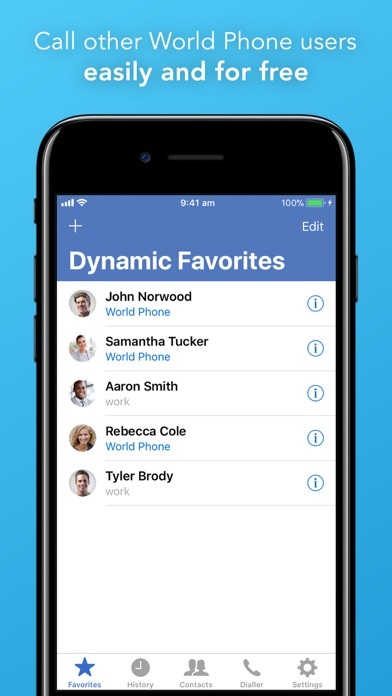 Try World Phone now and call family, friends and colleagues for free with our App to App calling feature. 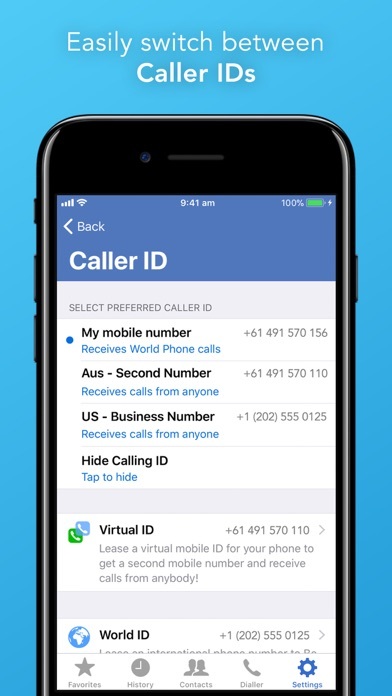 Key features: Clear and Reliable voice calls – World Phone intelligently routes your voice calls over the high quality phone networks to give you the most reliable, clearest calls possible. 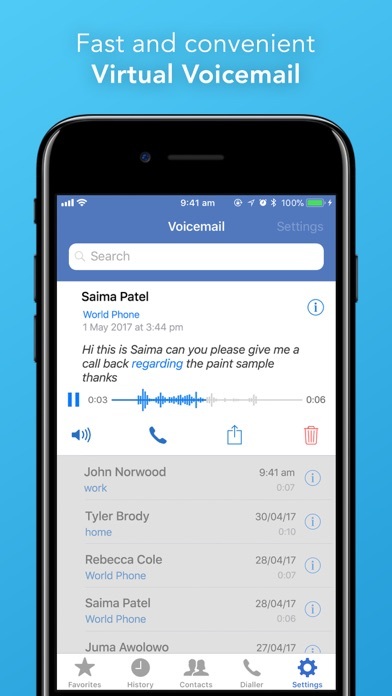 Text-searchable Virtual Voicemail - easily navigate, search and manage your voicemails. Listen or read your messages and call back contacts directly. Easy contacts – Don't wrestle with separate contacts lists. 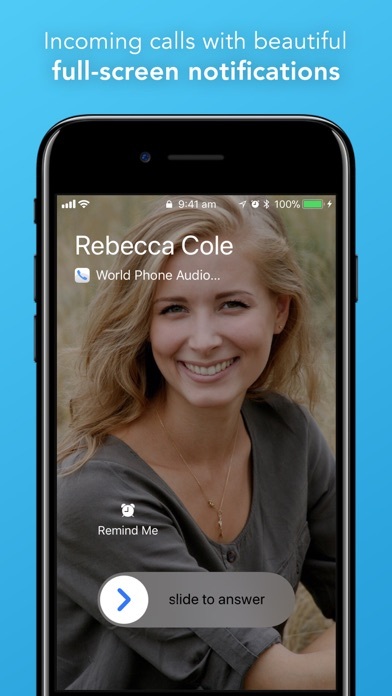 World Phone integrates simply and seamlessly to your iPhone's existing contacts! You can even make a World Phone call from within the native Phone App's or Contacts App's contact lists. Be Local™ – Effortlessly rent a local number, in-app, either for travelling or for speaking with distant contacts and/or relatives. Numbers available in more than 70 countries! 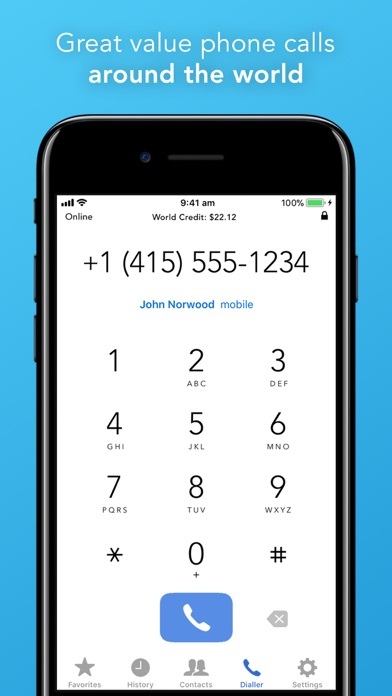 World Phone now supports full screen incoming call notifications, call waiting, call hold, recents integration and more. High-performance OPUS codec support: State-of-the-art voice encoding, with ability to survive low-quality wireless data connections. In regular conditions it delivers near-CD quality audio, App-to-App. Full media encryption support: Now encrypting call media using high-performance SDES/ZRTP cryptographic standards Gorgeous, high-performance UI / UX: We’ve optimised the user interface, delivering far better performance. “Buttery smooth” on iPhone 5s and later devices. Uses latest iOS 11 design language. Improved Accessibility: Broader support throughout the App for larger Dynamic Type text sizes. World Phone delivers an amazing telephony experience - try it today! After installation the app crashes during the activation process. iOS 12.0.1, iPhone XS Max. - autor:Nick_Iphone4 - title:Fix it, please.